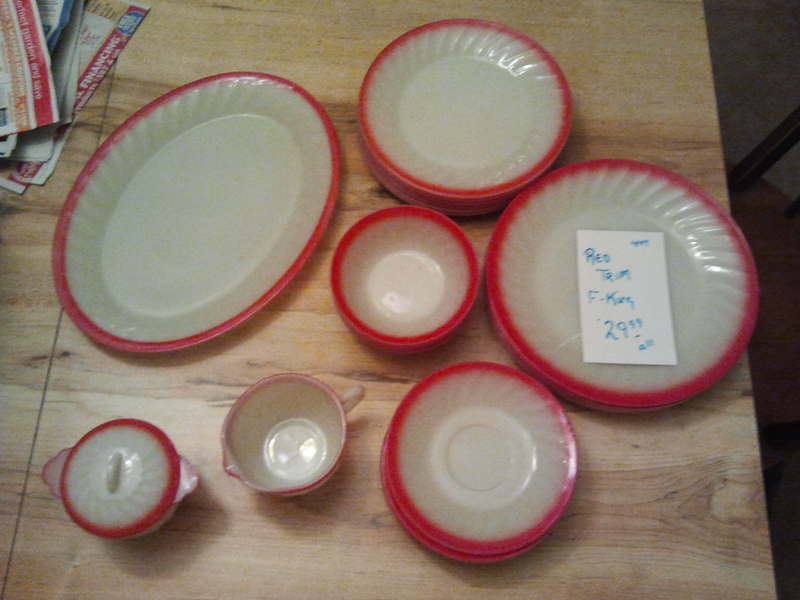 Recently I came across this set of Fire King dishes for sale at a favorite store of mine. Yes that says $29.99 for the set! Having no extra time to drive down to this store, I showed my best friend, Mr. B and guess what -he drove over there and bought them on the way home from work! Now I need to get creative for a new tablescape to use these - Hope you have a great weekend! Well it's been since December since I've posted anything and some of you may have wondered where did I go? Okay maybe nobody missed me, but I sure did miss you guys and writing and visiting blogs. You see in the fall I decided it was time for me to go back to college and get my degree in Accounting. My son was old enough to drive so that freed up alot more time for me. Following the closing of my store I spent a lot of time reflecting what I wanted to do in Act II of my life (Act I being a Mom/Administrator/Shop Keeper). I still want to open another shop, and I know I will some day, but I can't be preachy to my kids about the value of education if I'm not willing to complete my own! My daughter is entering her third year of law school in August and my son is a senior in high school. Exciting things are coming my way in the next few years as I graduate school and become an empty nester and the same time! I will need lots of advise from you sage empty nester veterans on what you would do if you could redo your first years of empty nesting. Please comment! For now I'm in school full time in the evening and working full time during the daytime. Along with my family duties this has kept me super busy. I have set a mini goal for myself to try and post once a week following completion of my homework assignments. Wish me luck!